Entrepreneurs interested in owning a food business should consider buying a franchise. Franchises have established brands, which eliminates the need for marketing. It also reduces the risk of failure. Outback Steakhouse is an easily recognizable brand with locations all over the world. These franchises are supported by teams of marketing specialists and food experts, which is an excellent advantage. 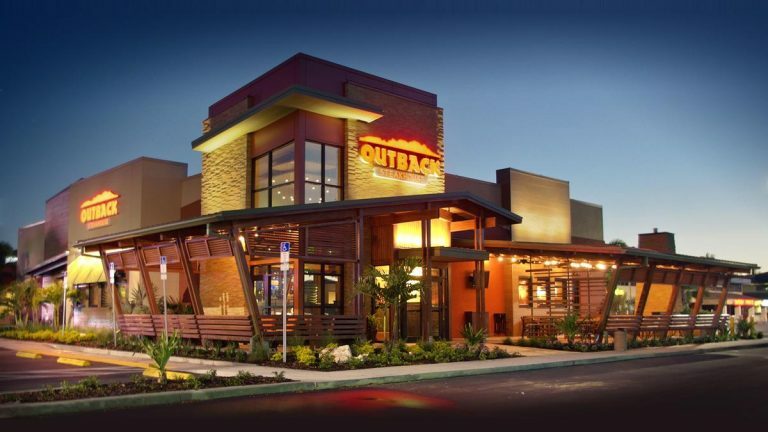 If you would like to know how to become a franchisee, follow this guide on how to buy an Outback franchise. Before you proceed with your franchise application, you need to familiarize yourself with the brand itself. Outback Steakhouse is an Australian-themed restaurant that specializes in steak and beef dishes. They serve a variety of food items including chicken, seafood and pasta. Outback’s main goal is to consistently serve these high-quality dishes for moderate prices. Generally, the restaurant has a casual atmosphere. It is frequented by families and people of all ages. It is also frequented by families of all ethnicities, as well. The Outback family has nearly 800 locations all over the world. Once you have a better understanding of the company, you can move on to the next step in buying an Outback franchise. Outback has a relatively low franchise fee of $10,000. However, you will need about $500,000 in liquid capital for start up costs. In the long term, you should be looking at about $1.6 million in total investments. This is not a small amount. Make sure your net worth matches with these requirements before proceeding, and determine how you will finance your business if necessary. Your success will depend on your sales. So, in order to become profitable, you have to make enough to offset the 6% royalty fee. It will also take time to recover your initial investments. Take all of these numbers into consideration before buying an Outback franchise. Applying to own an Outback franchise is as simple as requesting a form online. You can do this through the official Outback Steakhouse website. You will need all of your personal and financial information, so have the necessary documents prepared beforehand. If you submit your form and get a response, you will get a meeting with Outback franchising staff. At this meeting, you will be able to discuss details such as where you want to open your franchise. If you manage to come to an agreement on location, you will proceed on to the final steps of buying an Outback franchise. You should have some idea of a potential location for your Outback franchise before filling out your application. However, you are going to need to meet with Outback franchising staff once your get approved in order to finalize a decision. Have a meeting to determine the Outback franchise location that suits your needs best. Keep in mind that international Outback franchises are a possibility. You may wish to research real estate marketing in your potential locations. Be prepared for a meeting with Outback franchising representatives by selecting some potential franchise locations prior to the meeting. The final steps in setting up your franchise involve sharing your business plan with the Outback franchise staff. Give them a detailed overview of how you plan for your franchise to succeed. Also, provide information on who you will be choosing as key staff members. Make sure you give specifics on what each member is responsible for. To finalize the process, simply provide financial information such as bank accounts and credit lines. It is important for them to understand where your funding is sourced from. Therefore, you need to be very transparent about this information. Once you provide your financial information and agree to the franchising terms, you will have finished buying your Outback franchise. Franchises provide a great way to experience business ownership. You reap the benefits of running an established brand and are provided with helpful tools such as training programs. Buying a franchise is a multi-step process that requires a lot of preparation and knowledge, whether it is a Chicago gourmet franchise or an Outback franchise. If you follow this simple guide, you will be on your way to buying an Outback franchise in no time.